2009 marked another promising turn for Indonesian cinema. Filmmakers in the country released more than 100 titles, an encouraging number for a once-dead industry. But this year has not just ben about quantity: A variety of films from different genres provided movie buffs a much-needed breath of fresh air. Although the selection was still dominated by horror flicks and slapstick comedies, we also saw a war movie, “Merah Putih” (Red and White), a martial-arts flick, “Merantau” and a village mafia quintet in “Serigala Terakhir” (Last Wolf). These bold films moved both the heard and mind. The following lists are as objective as such a list can be. Twlve-year-old Jaya’s normal life takes a sharp turn when his mother’s death sees him sent off to work on his father’s jermal (fishing platform) in the Malacca Strait. In the beginning, Jaya finds himself struggling to adapt to his new life, as his father ignores him and the other boys bully him. But Jaya learns a thing or two abaout survival and the hardships of work. 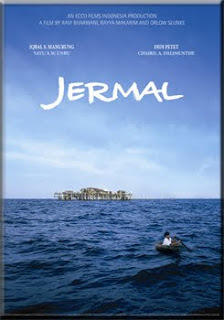 Jermal gives Indonesian audiences a rare yet invaluable opportunity to zero in on the life of jermal workers. Jaya’s journey in conquering his fear of his father and the other jermal boys offers a heartwarming and poignant sense of triumph. Credit should also be given to the believable and strong performances by the cast, directed by Ravi Bharwani, Rayya Makarim and Orlow Seunke.